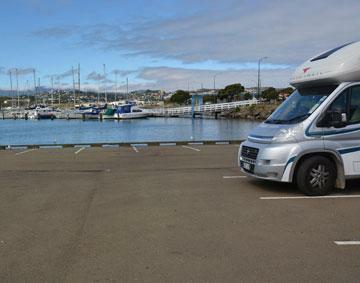 The marina carpark at Evans Bay is a large sealed area where self-contained motor caravanners can park over with a stunning view out over the harbour. 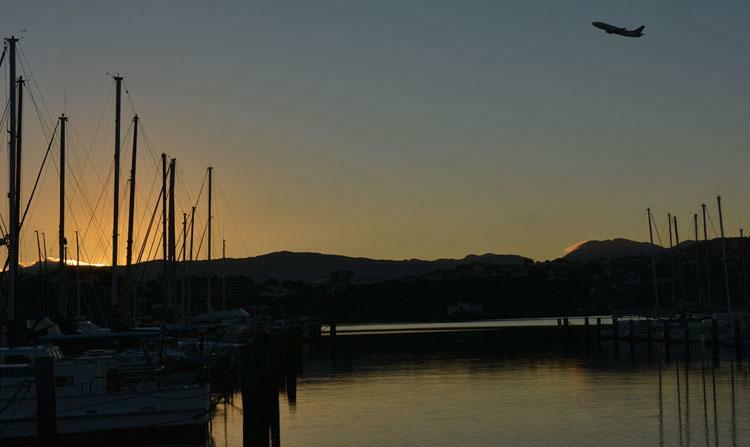 It's just a 15 to 20 drive from the ferry terminals, making this an excellent location for parking overnight before boarding a morning ferry to Picton. 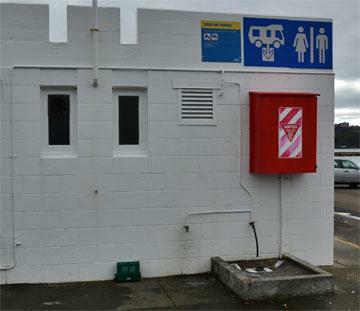 It's not exactly a quiet location, which you wouldn't expect in a city environment. 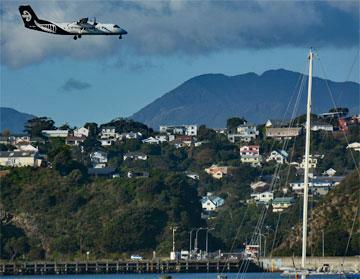 Plus the airport is close by so you can enjoy watching the large jet liners taking off and landing. 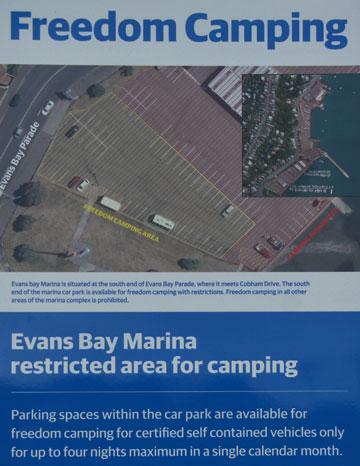 There are well maintained public toilets and a dump station on the far side of the marina parking area, making this a really well catered for free parking area.